When I was about 12 years old, my brothers and I each got to pick a tree to plant in our backyard. Daniel, chose a peach tree, Kevin chose a apricot tree, and I chose an avocado tree. Sure, my mom told me that avocados probably wouldn’t grow on the tree until I left for college (it turned out to be grad school, by the way), but I was determined. I love, love, love avocados. I could eat them like apples. So it’s no surprise that guacamole is my all-time favorite snack food. My favorite guacamole of all time comes from this little hole-in-the-wall Mexican restaurant in my hometown called Los Golondrinas (affectionately known by locals as “Los Gol”). After moving away from Southern California, I was left to my own devices to recreate this tasty guacamole (kind of like what I did for my SoCal Steak Tacos). The trick is to get a nice, thick tortilla chip. Those flimsy, mass-produced chips just don’t cut it. Get the real deal from the Mexican section of your market. 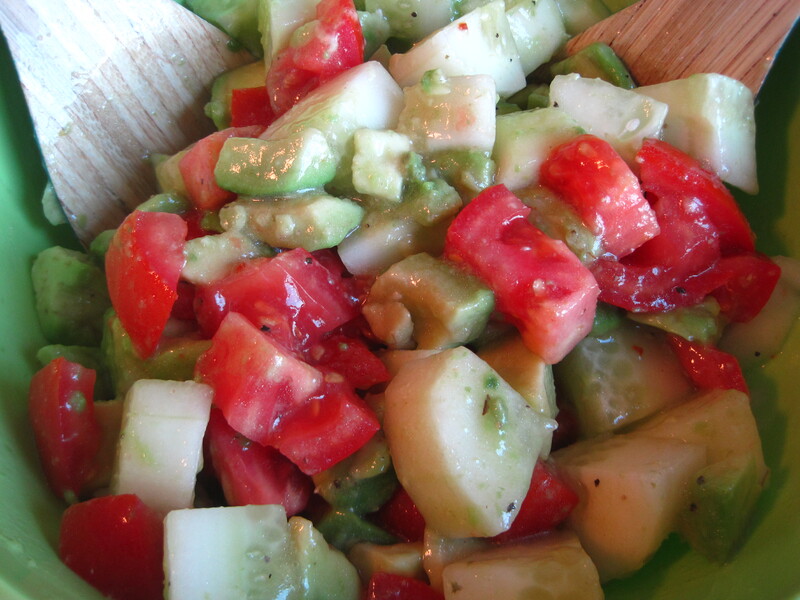 Start with ripe avocados. You’ll know they’re the perfect ripeness if they’re about the same density as if you press on the pad of your hand. 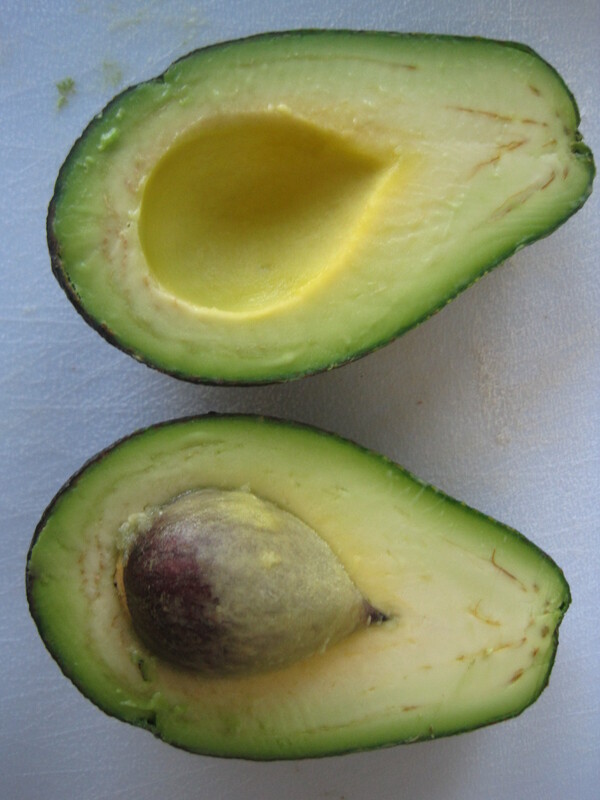 Use your knife to cut your avocado all the way around length-wise, dragging your knife tip around the pit and being careful not to puncture it. Twist your avocado like an Oreo to release it. Then, use your knife to chop into the pit to get a grip on it, then twist your knife to release the pit (see picture). Don’t worry too much about it being perfect, your avocado will be mashed anyway! You have to use a little force when bringing your knife down on the pit so that you can get a grip on it. 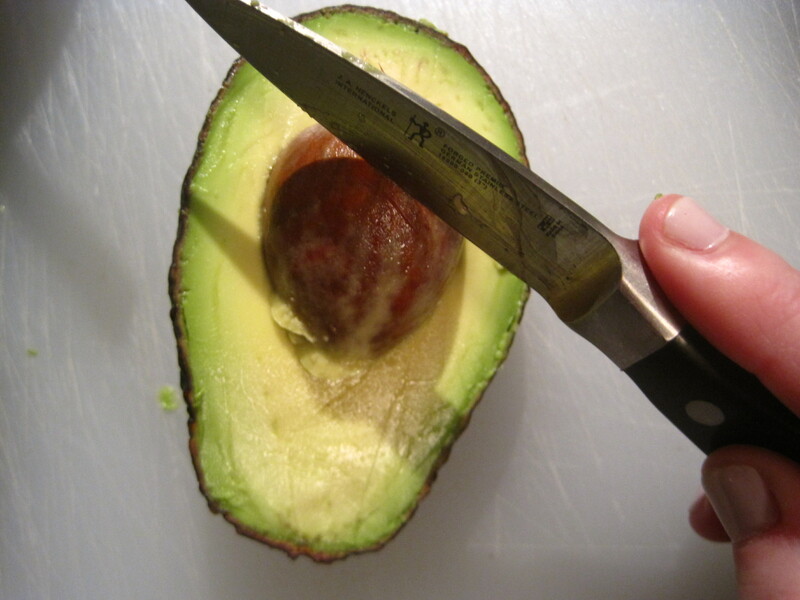 Once the pit lifts out of the avocado, it’s easy enough to get off your knife and into the trash can. 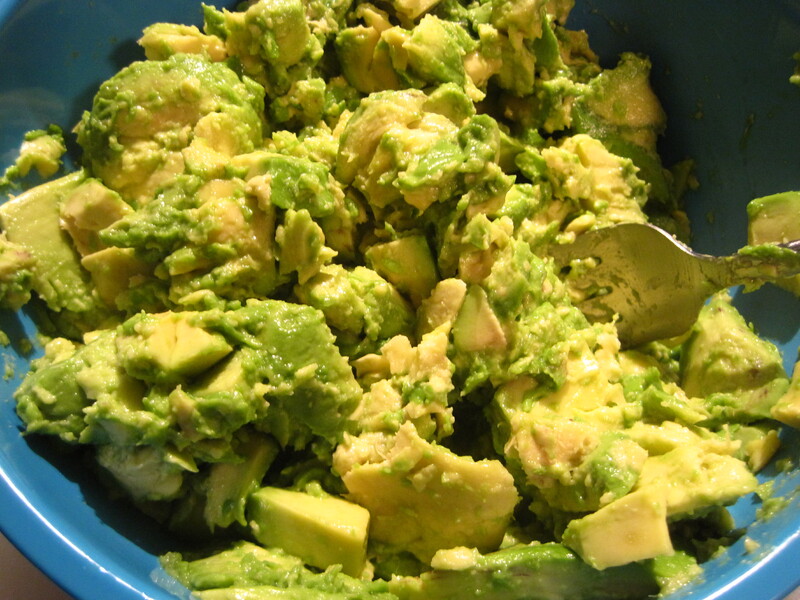 Use a spoon to scoop out your avocado into a medium bowl. Mash your avocado with a fork, making sure to leave some bigger chunks of avocado still in there. Immediately mix in your lemon juice with the avocado to avoid it turning brown (lime juice would be better, but I always have lemon juice in my kitchen staples). I could eat a giant spoonful of the avocado and lemon just like this! 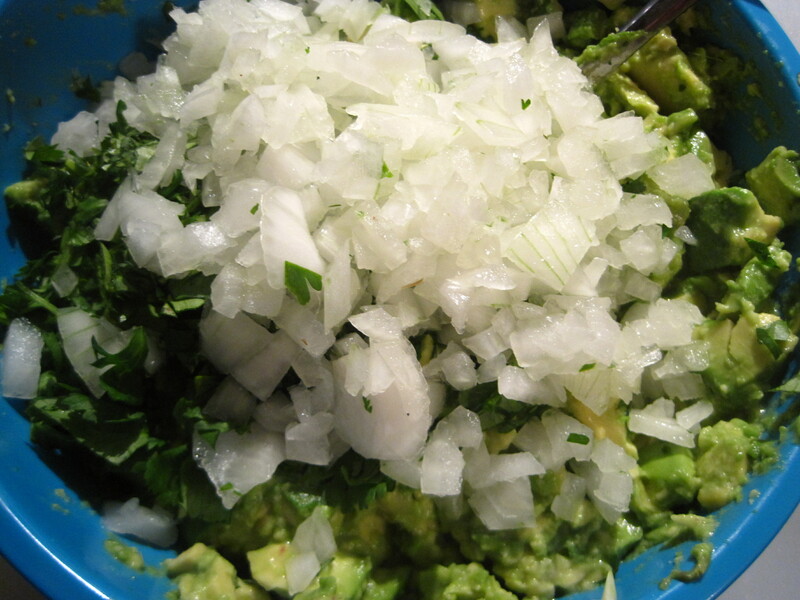 Chop your onion and cilantro, then add to the bowl with the salt and garlic. Some people like to put tomato in their guacamole, and honestly, Los Gol’s guac has it in theirs. However, I find tomatoes tedious to work with when adding your guacamole because it can make it too watery if you don’t do it right. And in keeping with the honesty, I don’t think it adds enough flavor to make the hassle worth it. But if you do want tomatoes, make sure to remove all seeds first and then slice thinly and add to your guacamole. 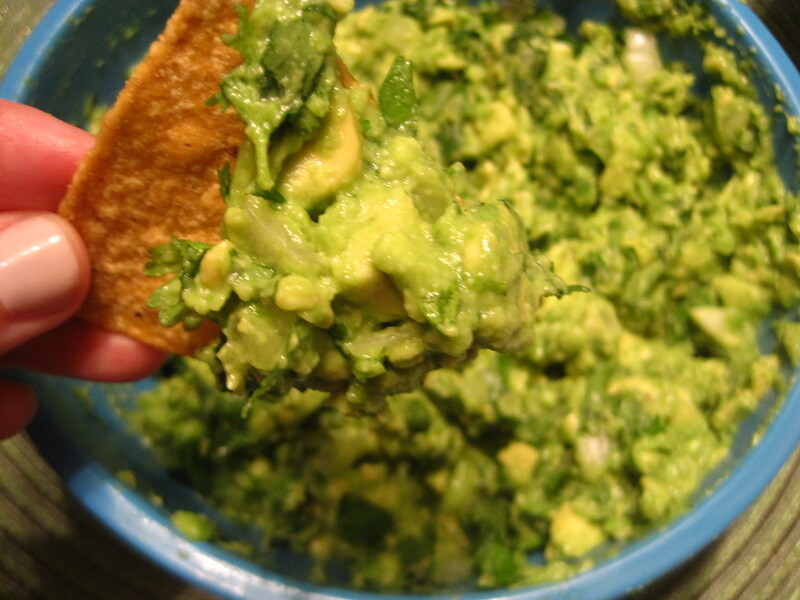 Make sure your guacamole is well combined, but still leave some big chunks of avocado if you can. I generally taste test along the way to make sure I don’t need to add more salt or lemon juice. If you’re a guac-lover like me, you’ll know if and how much of which you’ll need to add. 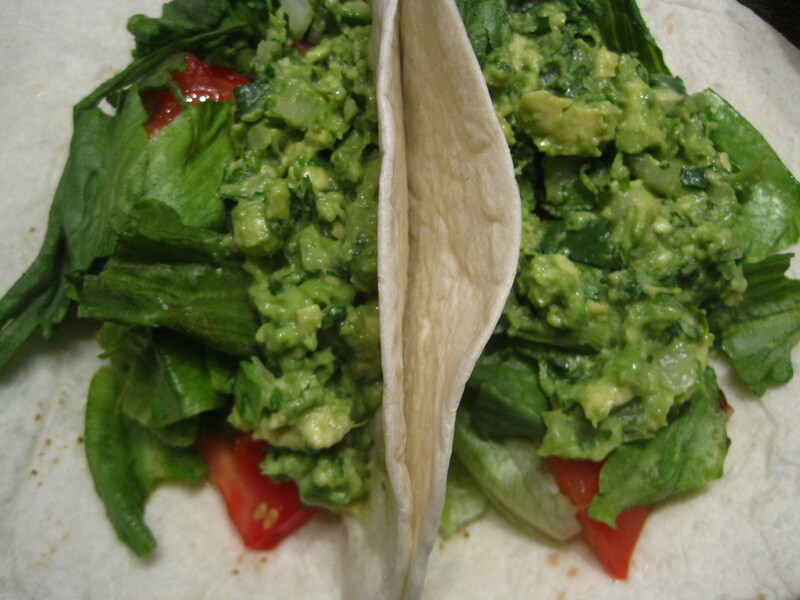 I added some of my guacamole to simple chicken tacos for a tasty, easy dinner. Just cook your basic chicken, and add some sliced tomato, lettuce, and guac to a warmed tortilla. Yum. Guacamole can be healthy, too! Scoop a little on a chicken sandwich, add some to fish tacos, or even eat with veggies (avocados have healthy fats when eaten in reasonable portions). However, there’s nothing better than sitting down with a big bowl of guacamole, tortilla chips, and a beer on a lazy Sunday afternoon. 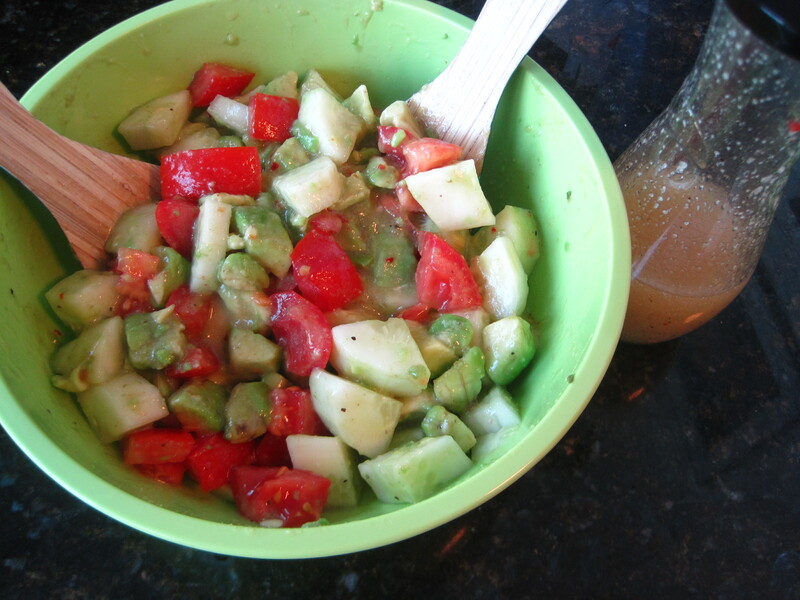 And since it’s avocado season, I am frequently whipping up this treat.